All Posts Tagged With: "Phillip Lim"
NARS and Phillip Lim have a long standing relationship collaborating over the past 14 seasons on the 3.1 Phillip Lim runway show during New York Fashion Week since the Fall 2007. 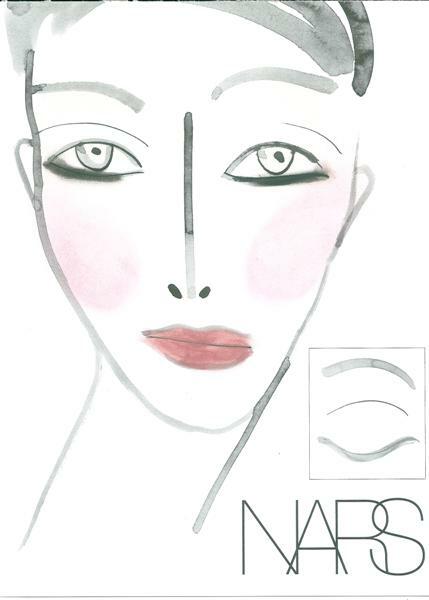 The collection combines Phillip’s signature style with NARS’ iconic and audacious beauty philosophy. The 3.1 Phillip Lim for NARS Nail Collection includes nine limited edition nail shades inspired by the “colors that exist in the shadows.” With a covetable canvas pochette and nine limited edition shades, one of which will be available exclusively at NARS boutiques and www.narscosmetics.com, get your hands on them beginning July 15th. Backstage Makeup: Go backstage with NARS Cosmetics and witness the excitement of putting together a show at Fashion Week. Interviews with designers, including Phillip Lim and Thakoon Panichgul, bring to life the decadence and creativity reflected in the makeup looks created by lead artists. American Express announces its continued partnership with top fashion designers including Diane von Furstenberg, Phillip Lim and Tory Burch, to provide Cardmembers with five days of exclusive shopping experiences during NYC & Company’s NYC Extreme Local™. Now through December 20, Cardmembers may register their American Express Card at www.nycgo.com/x to take advantage of special events and offers citywide. From December 7 – December 11, DVF, Lim and Burch, along with J. Crew and Intermix, will invite American Express® Cardmembers into their stores for after-hours, private Cardmember-only shopping events. To celebrate 15 years of iconic beauty for his celebrated brand, Francois Nars launched the NARS 15X15 Project. The centerpiece of the project is the 15X15 book, featuring 15 celebrity portraits, each inspired by a NARS product shade and based on an iconic reference chosen by François (who personally did the makeup and photographed every portrait). On November 12, 2009 at 8PM EST, the NARS 15X15 website (15X15Project.com) went live, making available for purchase the book and select individual portraits. 100% of the proceeds from the project will be distributed among the 15 charities chosen by the participating celebrities. NARS Cosmetics was backstage creating the makeup look for Phillip Lim’s Autumn/Winter 2009 show. SHOW: Phillip Lim. LEAD ARTIST: Ayako, International Makeup Director, NARS Cosmetics. TREND: Wispy lashes, translucent matte skin. Look: False lashes were placed on the outer half of the bottom lash line and was the central focus of the look. For an exaggerated effect, matte charcoal shadow was used with a wet eyeliner brush to draw lashes beneath, as if to create a shadow effect. “This is the poetic part of the look,” said Ayako. As a complement to the wispy lashes, shimmering pink and gold shadows covered the lids, while the lips were muted with concealer. Skin was made flawless with the newly formulated sheer matte foundation (NEW for Fall 2009) to counteract the sleepy look of the lengthy bottom lashes. 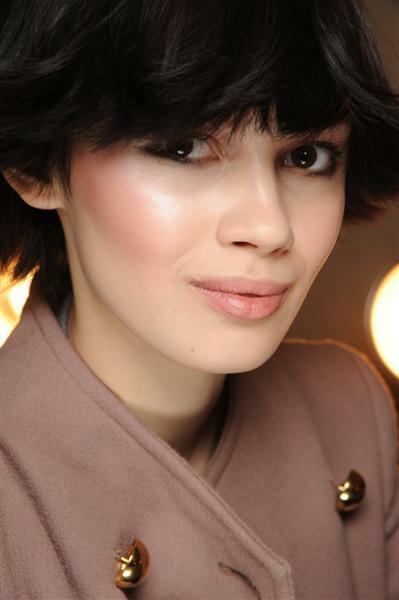 Atop the matte skin, a gentle sweep of shimmer was added to cheekbones to catch the light.